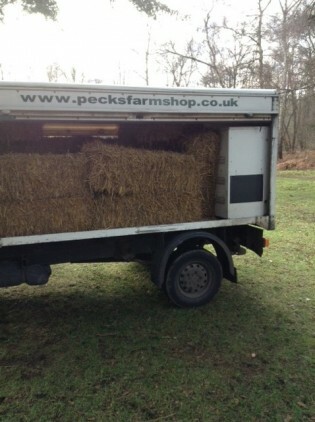 Our Hay are safely stacked up in the barn and are made from lovely dense hay that is grown on the farm. It is fresh, fragrant with no ‘rubbish’ in it. Hay Bales now available, our own freshly mown premium sweet smelling hay only £6.00 a bale – approx 30 kg. Discounts available for larger orders – price on application. We also stock fresh, fragrant Straw Bales also now available (and you can hire them for parties, photoshoots and events) . Price available on application. This entry was posted in Hay Bales for Sale, Straw Bales for Hire and tagged Bedford, Delivery available, Leighton Buzzard.